I am organizing a blog tour for A Shot of Bourbon by A.C. Land. This blog tour will run from 29 March till 11 April. Review copies are available in e-formats: mobi, epub and pdf. There will be a tour wide giveaway for an ipad mini! In the little highway town of Bourbon, Missouri, deadly secrets lurk behind Southern charm. Seventeen year old Charli Valentine didn’t expect to spend the last few weeks of summer break nursing a broken heart, icing a black eye, and watching her ex kiss another girl. Since being a good girl has gotten her nothing but heartache, Charli decides to give rebellion a try. She pigs out, drinks, and hangs with Luke Parker, the son of the infamous Bourbon Butcher. But there’s more to Luke than meets the eye. His tough exterior and terrible dialect hide a good person despite his bad boy reputation. No matter how hard he tries to fight it, Luke is drawn to Charli’s innocence and finds her clumsiness too charming to resist. Though they’re from opposite sides of the tracks, neither can resist the magnetism drawing them together. When Charli discovers a box in her mother’s closet, she pieces together the truth about Bourbon’s past and uncovers a deadly secret about her family. And once Luke learns of it, he vows to protect Charli no matter the cost. Author of the Bourbon Series, A.C. Land has been a lover of stories since she first read about Peter Pan giving Wendy an acorn and teaching her to fly. A.C. always dreamed of telling big stories about small towns. 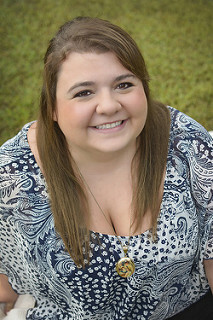 Residing on a cattle farm in Missouri, A.C. loves playing with her rambunctious Jack Russell, Riley, making decorative cakes, taking pictures, drinking pumpkin spice coffee, and hanging out with her nephews. 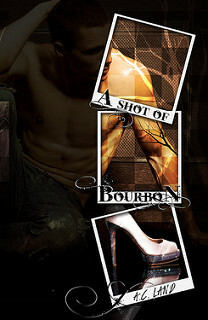 There is a tour wide giveaway for the blog tour of A Shot of Bourbon. One person will win an ipad mini (US Only)!